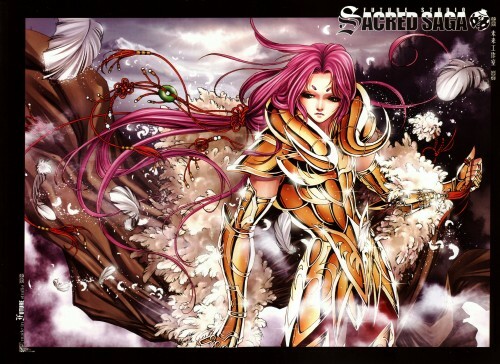 Scanned from the green Zeus covered Sacred Saga book by Future Studio. A double-paged spread featuring Aries Mu... especially for Revan. Mu portrayed at his best. Mu of Aries is seen so beautiful, thanks for the scan, Future Studio. Mu look like a God, benevolent, caring yet unstoppable. HO HO MY MY GOD GOD! Mu is awesome! Thank you!
? ??? ? ??? ? ??????? ?????? ??????? ??????? Love this one. Perfectly made. Beautiful.